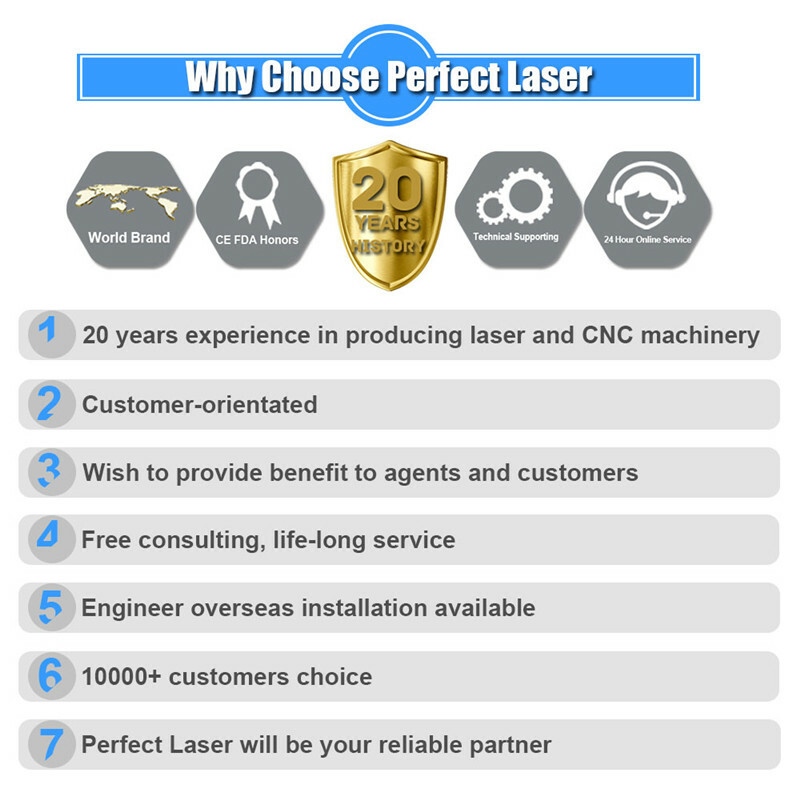 Perfect Laser has been dedicated to providing customers with all kinds of metal and non-metal cutting machine during these years. 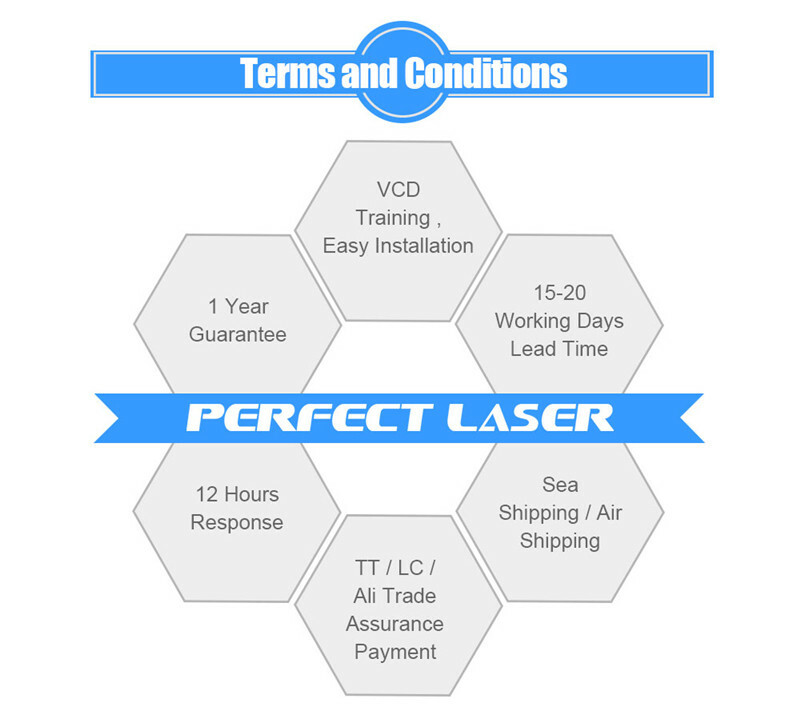 After a long time test, by introducing foreign advanced technology and adopting CAD mapping technology, Perfect Laser successfully developed this new automatic glass cutting machine PEG-8080. 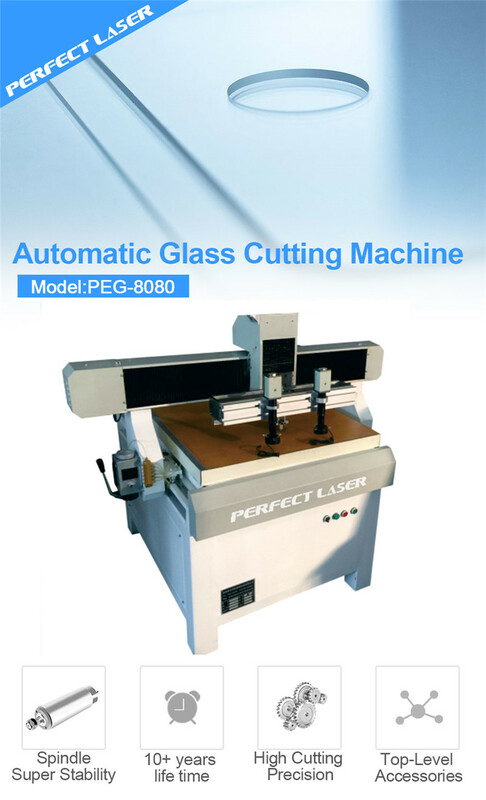 This automatic glass cutting machine adopts stepper or servo motor, driver and CNC control system, and configure imported knife wheel with the function of good stability, high precision and multi-knife can cut at the same time, to let this industrial glass cutter achieved line, alien and circular cutting of all kinds of photovoltaic glass and ultra-thin glass. In addition to having superior configuration and performance, the cnc glass cutting machine also uses a man-machine interface, intelligent cutting can be optimized to truly facilitate the operation and intelligent. 1. 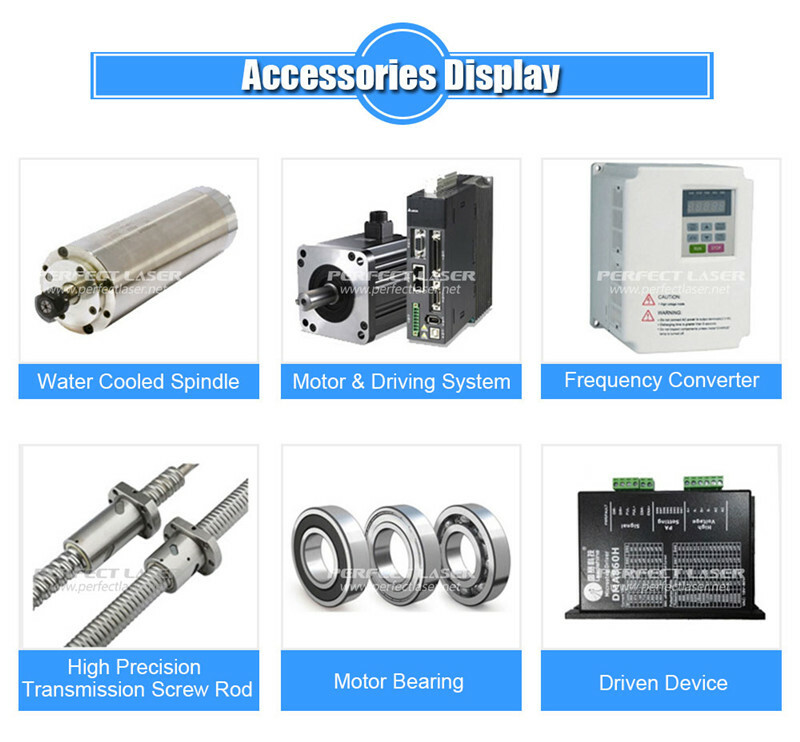 Adopt Stepper Motors or Servo Motors, driver and CNC control system, this automatic glass cutter can ensure high precision and smooth operation. Otherwise, the whole automatic glass cutter machine uses less consumables, low cost of use and long service life. 2. This cnc glass cutting machine is equipped with imported precision rack and Taiwan TBI linear guide, ball screw, achieve the advantages of small frictional resistance, high precision, reversibility and high efficiency. 3. 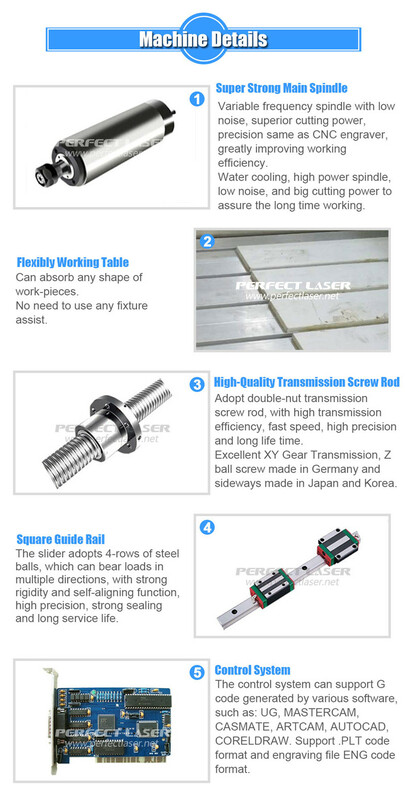 The working table of this industrial glass cutter adopts anti-special board, while can be customized aluminum or marble countertop to meet the diverse needs of customers. 4. The industrial glass cutter adopt imported German Bole knife wheel, multi-knife can do cutting at the same time, and the industrial glass cutter is applied in a variety of types of glass materials. 5. 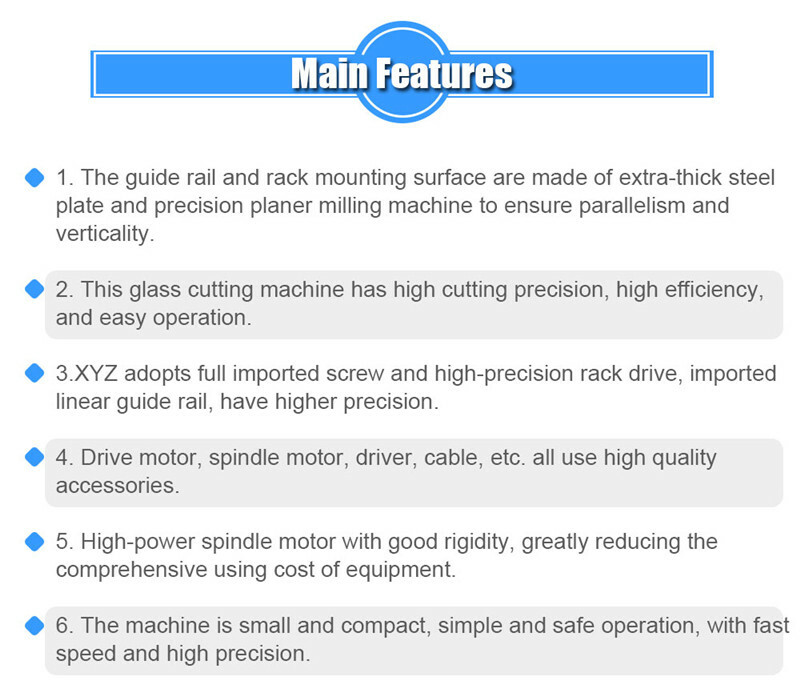 The function of the automatic glass cutter CNC system is variety. 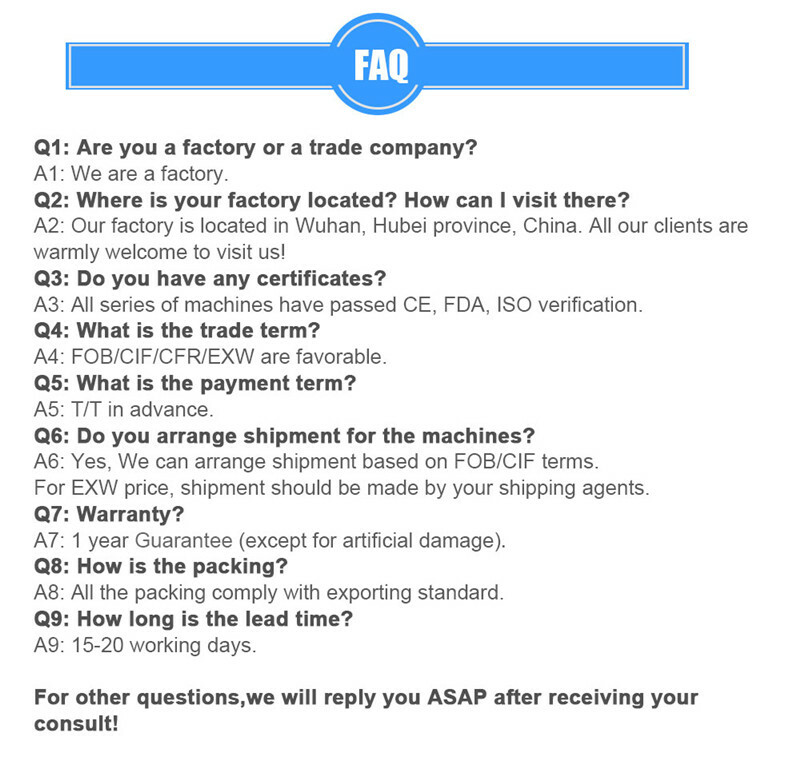 Not only has the basic functions of manual, stepping, automatic and back to the mechanical origin, but also has the unique features such as simulation, dynamic display tracking, Z axis automatic alignment knife. 6. Adopt human-machine interface, this automatic glass cutting machine can achieve optimized intelligent cutting through CAD drawing, which is easy to operate. 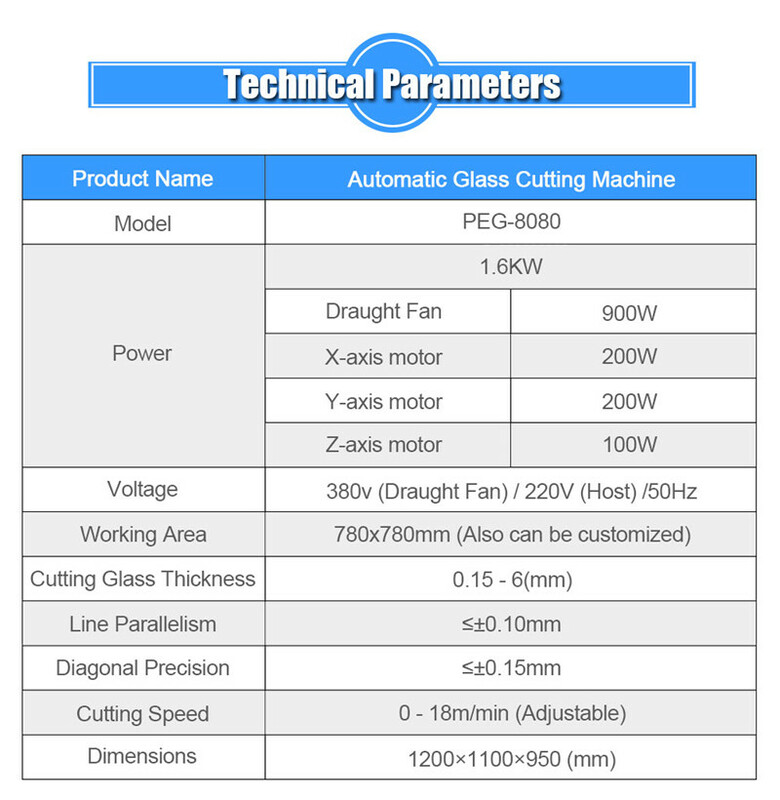 7.The cutting glass thickness of the cnc glass cutting machine can be as low as 0.15mm, to achieve ultra-thin glass cutting. 8.The automatic glass cutter adopts advanced configuration at home and abroad, low operating costs and long service life. 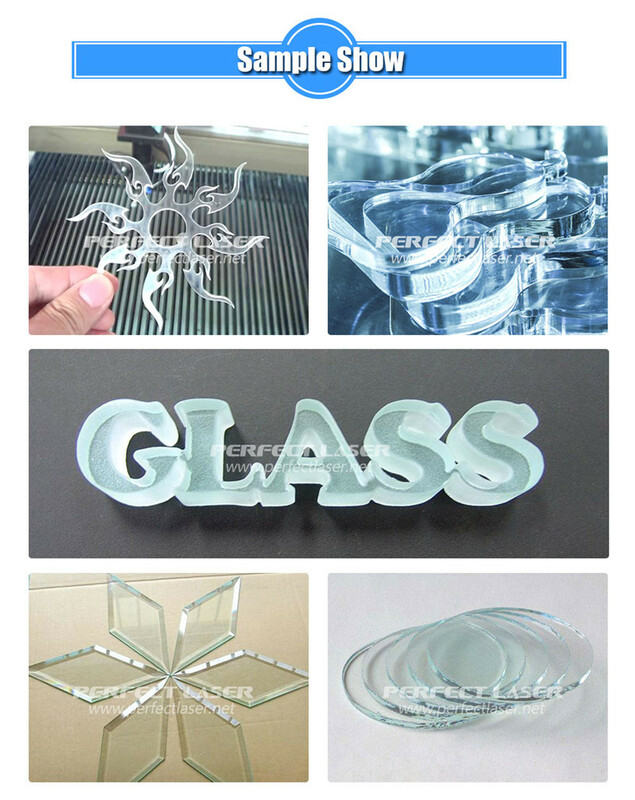 The cnc glass cutting machine can meet the cutting needs of Architectural glass, cosmetic mirror glass, furniture glass, mirror glass, wafer glass, watch glass, glass and other different types of glass.